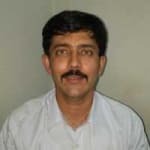 Dr. Tirthankar Mukherjee is a trusted Internal Medicine Specialist in Padmanabha Nagar, Bangalore. She has over 15 years of experience as a Internal Medicine Specialist. She is a M.B.B.S, M.D in Internal Medicine. You can visit her at Kalyani Clinic And Diabetes Care Centre in Padmanabha Nagar, Bangalore. You can book an instant appointment online with Dr. Tirthankar Mukherjee on Lybrate.com. Lybrate.com has a number of highly qualified Internal Medicine Specialists in India. You will find Internal Medicine Specialists with more than 43 years of experience on Lybrate.com. You can find Internal Medicine Specialists online in Bangalore and from across India. View the profile of medical specialists and their reviews from other patients to make an informed decision.